George Magnatta is chair of the firm's Public Finance Practice. His practice focuses on serving as bond counsel, underwriter's counsel, borrower's counsel, and tax counsel for states, cities, economic development authorities, housing authorities, and non-profit entities in the implementation and financing of major capital initiatives that benefit public, private, and non-profit entities. He is also an experienced practitioner in the tax aspects of public finance, with a thorough understanding of the complex Internal Revenue Code requirements in this area. George also represents issuers of bonds whose bond transactions are being audited by the Internal Revenue Service. 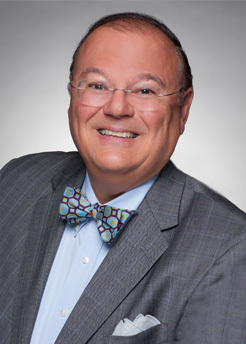 Prior to joining Saul Ewing Arnstein & Lehr, George served as Assistant Branch Chief of the Office of Chief Counsel, Legislation and Regulations Division of the Internal Revenue Service in Washington, D.C. George is a frequent panelist at meetings of the National Association of Bond Lawyers. George has extensive experience with structuring tax-exempt financings for states, cities, industrial development authorities, housing authorities, colleges, universities, and real estate developers. He has been involved in multimillion dollar sophisticated financings for major capital projects (including, for example, sports stadiums, airport terminals, hospitals, universities, nursing homes, residential rental projects, gas utility projects, and electrical utility projects). His years of experience and knowledge of the complex rules on tax aspects of municipal financings has assisted in bringing these transactions to fruition. He is the co-author of ABCs of Industrial Development Bonds, 5th Edition, Packard Press. He authored a chapter in the book,Public Finance Settlements and Negotiations: Leading Lawyers on Establishing Financial Covenants, Negotiating Mortgages, and Obtaining Bottom-Line Goals (First Edition, Aspatore Books, 2006). George also has extensive experience with bond pools, interest rate swaps and housing bond financings (both single-family and multi-family transactions). He has also represented parties before the IRS in connection with tax-exempt bond audits involving multimillion dollar bond issues. The IRS has also sought George's feedback through his past work on its Advisory Committee on Tax-Exempt and Government Entities (ACT). His contributions to the ACT included reports about revisions to Voluntary Closing Agreement Procedures (VCAP), the role of the issuer in conduit financings and information reporting relating to tax-exempt bonds. Significant governmental clients include or have included the Commonwealth of Pennsylvania, Pennsylvania Infrastructure Investment Authority, Pennsylvania Housing Finance Agency, Pennsylvania Economic Development Financing Authority, City of Philadelphia, Philadelphia Authority for Industrial Development, Philadelphia International Airport, Philadelphia Gas Works, Delaware County Industrial Development Authority, New Jersey Economic Development Authority and New Jersey Housing and Mortgage Finance Agency.